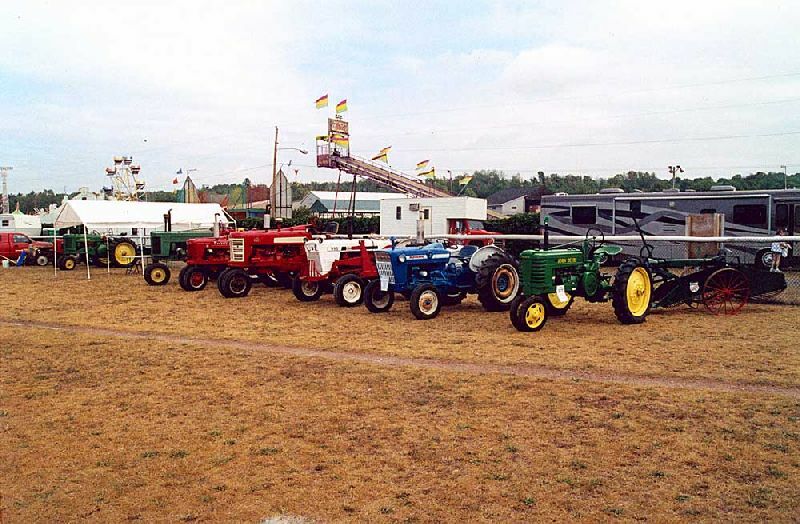 The 57th annual Houghton County Fair was held at the Hancock City Fairgrounds the 3rd week of August. The big evening event for the indoor Arena was the Miss Houghton County Queen Pageant.Named Miss Congeniality is Nicole LeClaire; Second Runner Up is Jenny Isaacson; First Runner Up is Lori Petrelius. 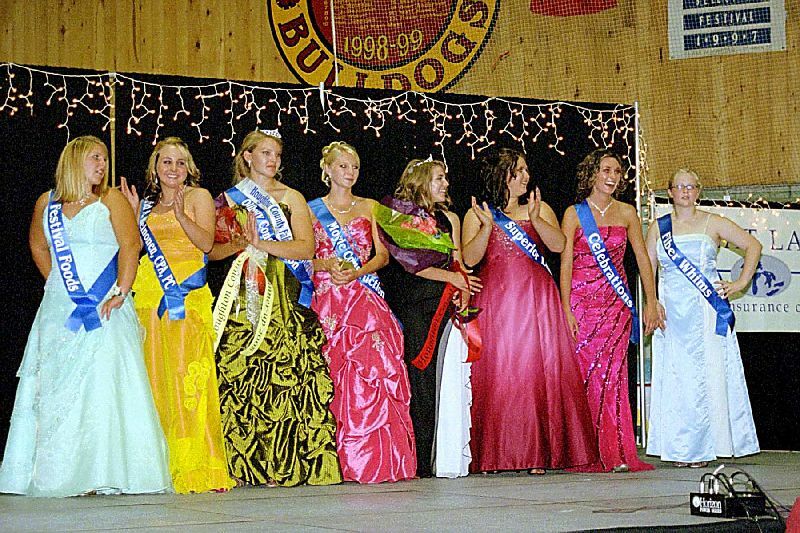 Named 2008 Miss Houghton County Queen is Amber Harris, (second from right), who reacts as her name is called. 2008 Miss Houghton County Queen, Amber Harris. 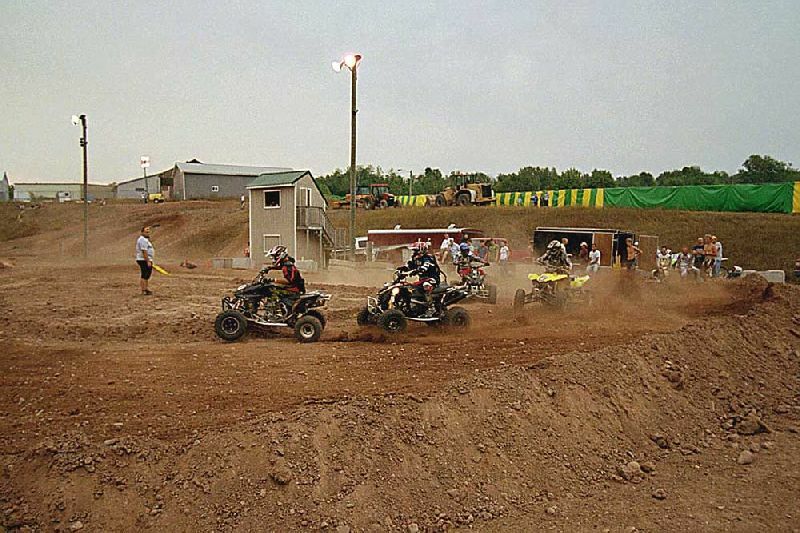 Following the Pageant, activities moved outside to the Main Event Arena for the Motocross Races. 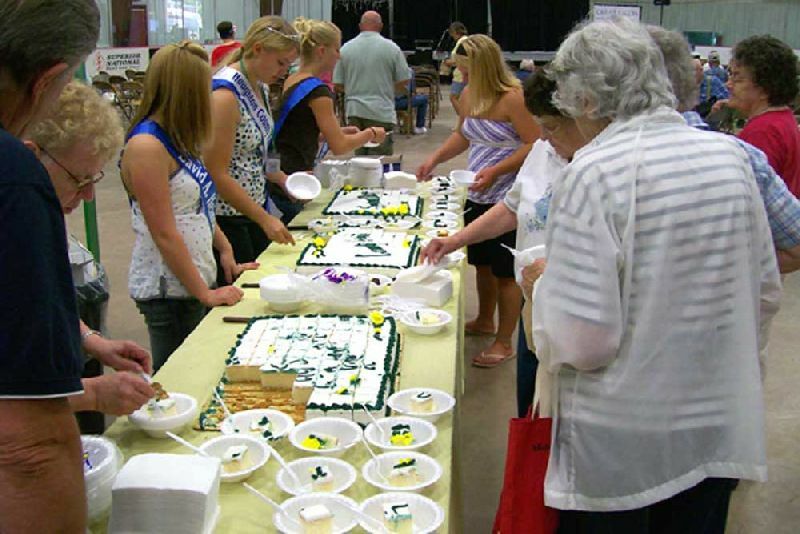 Seniors all had a piece of the Fair Cake. 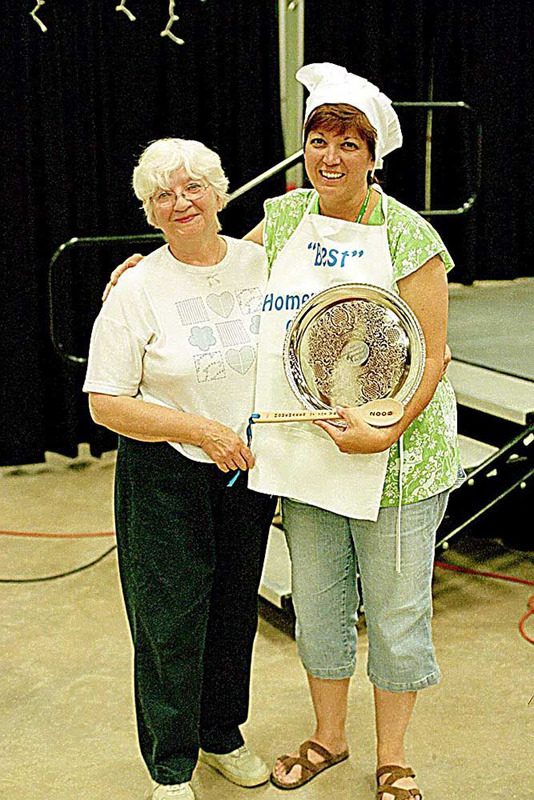 Also on the Program was the awarding of the Ruth E. Best Homemaker of the Year Award, this year going to Catherine Isaacson, who also won in 2004. Making the award was Dee Vincent, President of FCE. 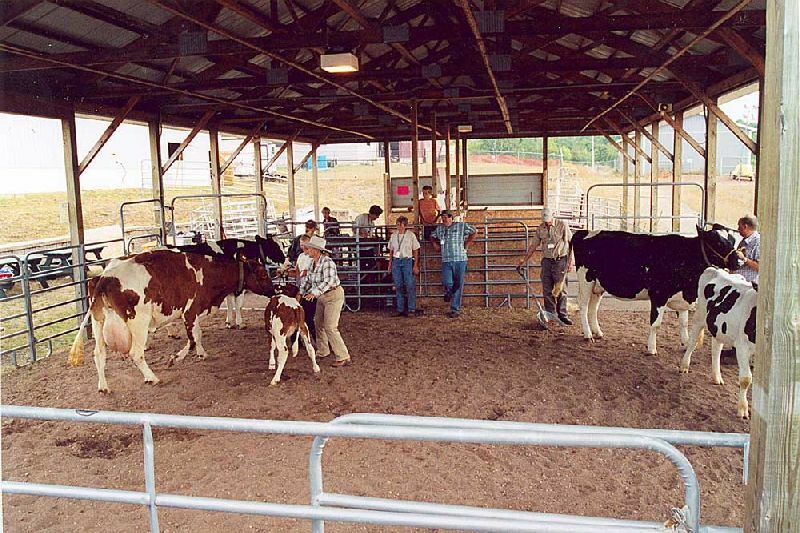 Also on Friday, was the Swine Show, the Market Steer auction, and the Dairyland Beef Show. Area antique tractors were also on display throughout the Fair. Many exhibits were on display in the Youth Activities Building. 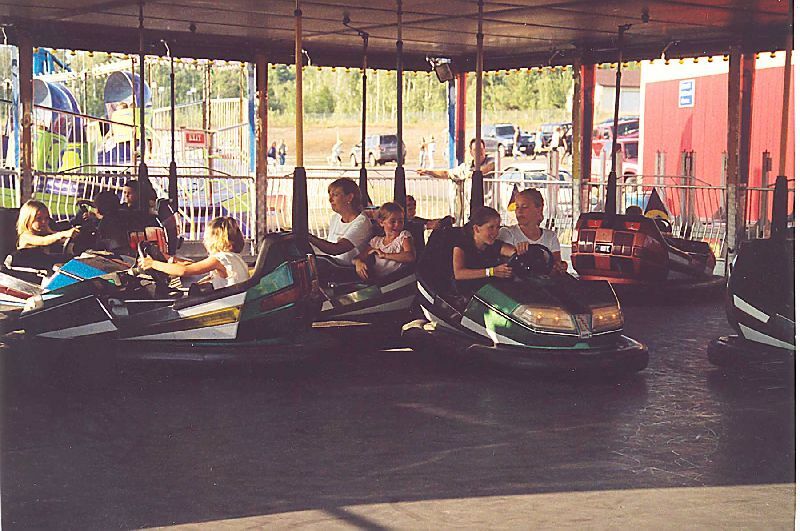 The kids enjoyed the Bumper Car ride. 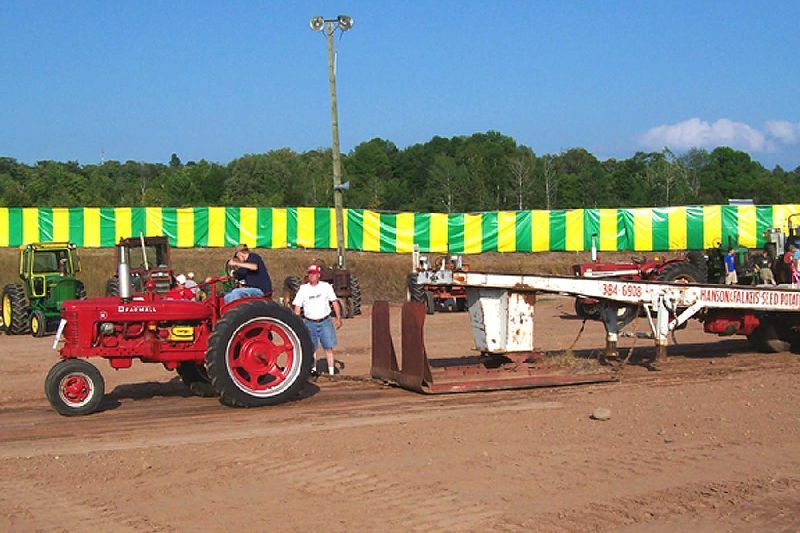 Also on Friday was the Farm Tractor Pull. Here, Dilman Hiltinen, Dollar Bay, participates for the first time at the Fair, on Grandpa Howard Junkin’s tractor (behind, white shirt). Entertaining the indoor Arena crowd were the Chicago Honey Bear Dancers. 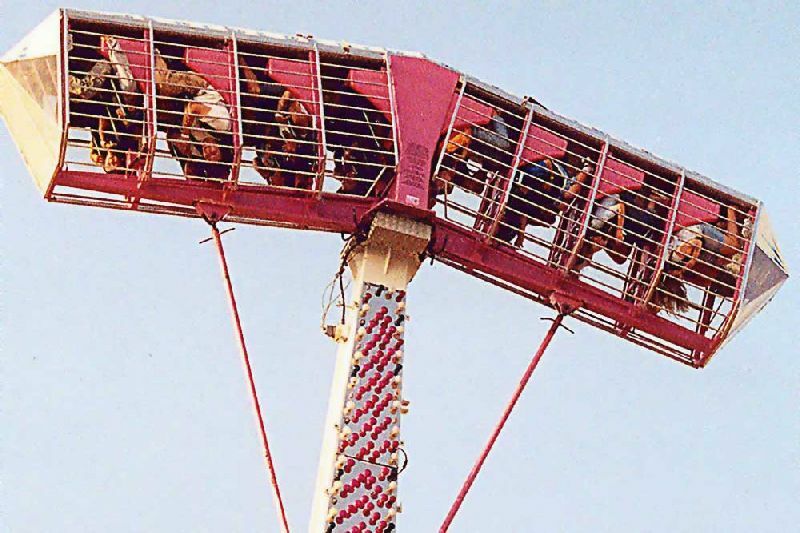 A new Schmidt Amusements ride, gives riders a new perspective of the Fairgrounds. 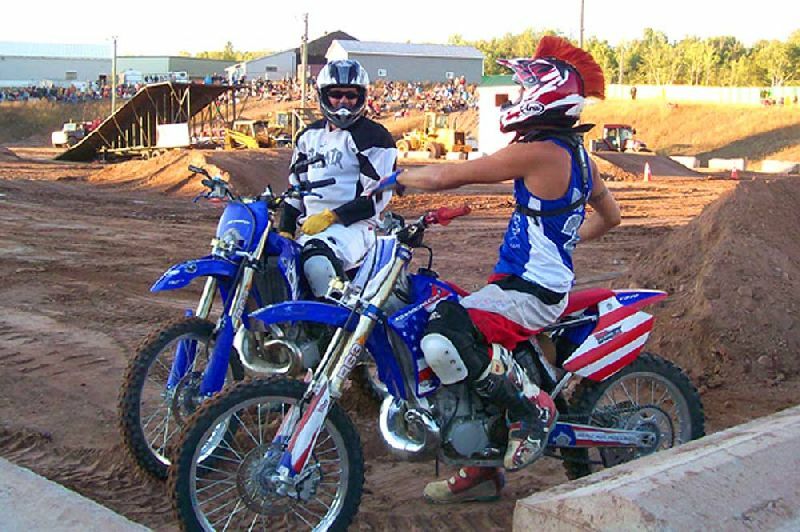 If you think the riders are not actually upside down, look at the girl’s hair on the right. 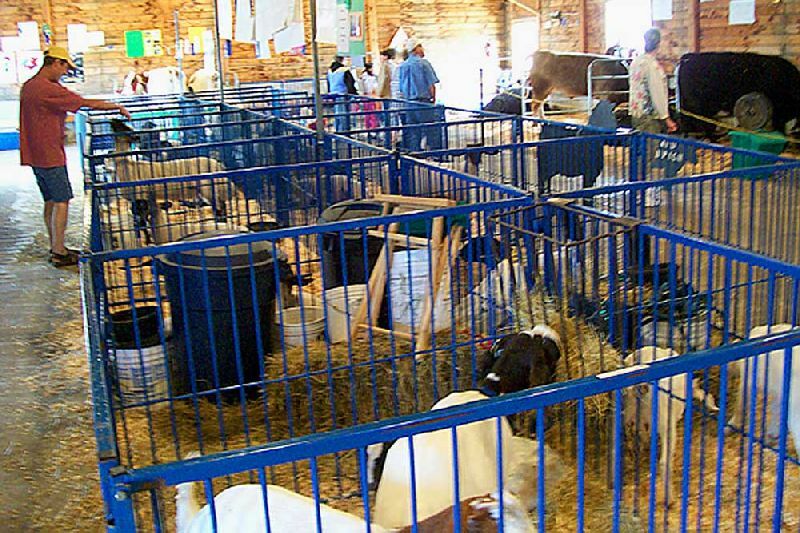 The sheep and goat (small animal) Pavilion. 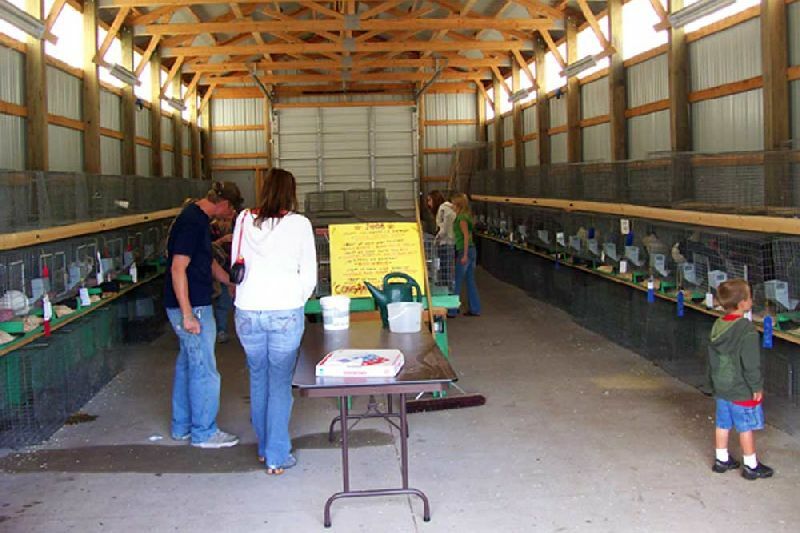 The Poultry Building. 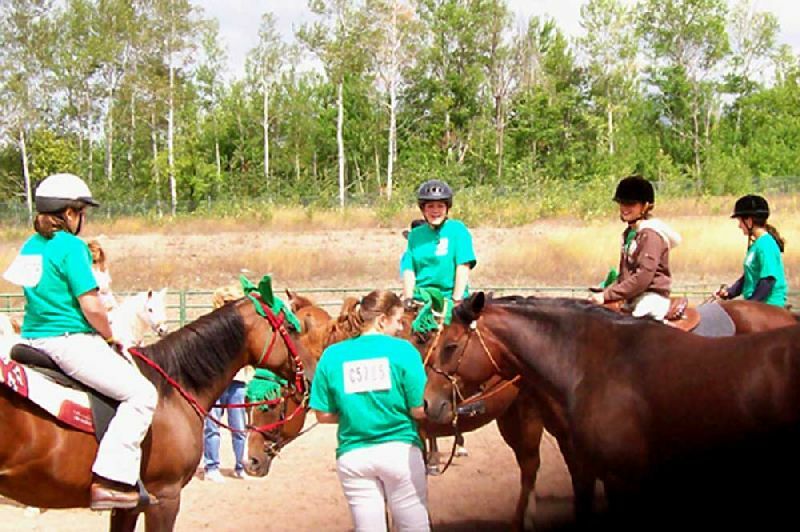 Area youth equestrians compete in the Horse Jumping Show in the Horse Arena on Saturday afternoon. 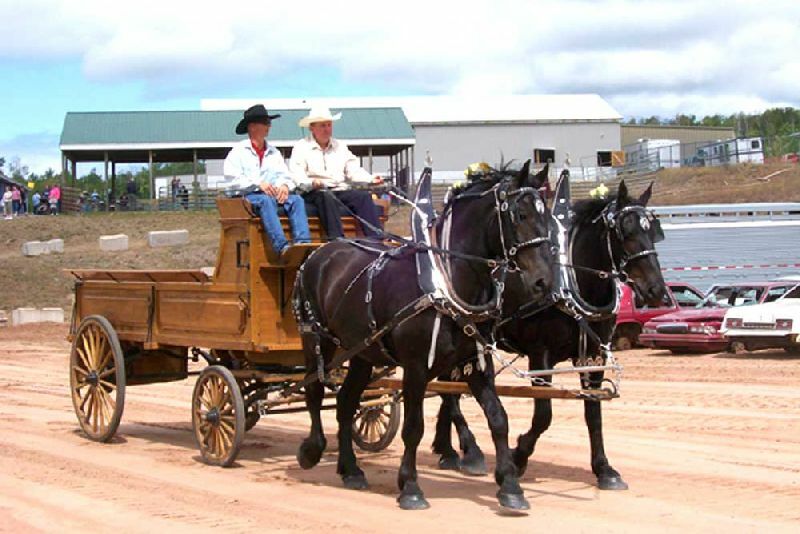 This horse drawn wagon leads off the Parade of Horses. 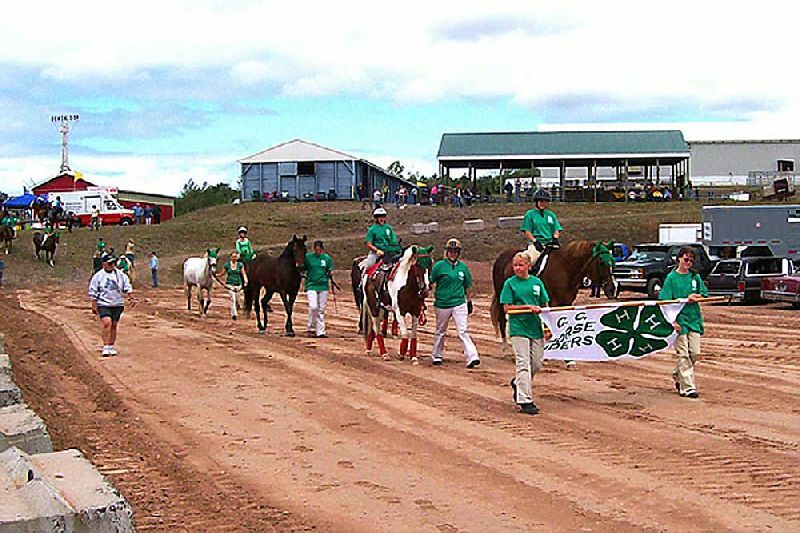 Copper Country equestrians show off their mounts. 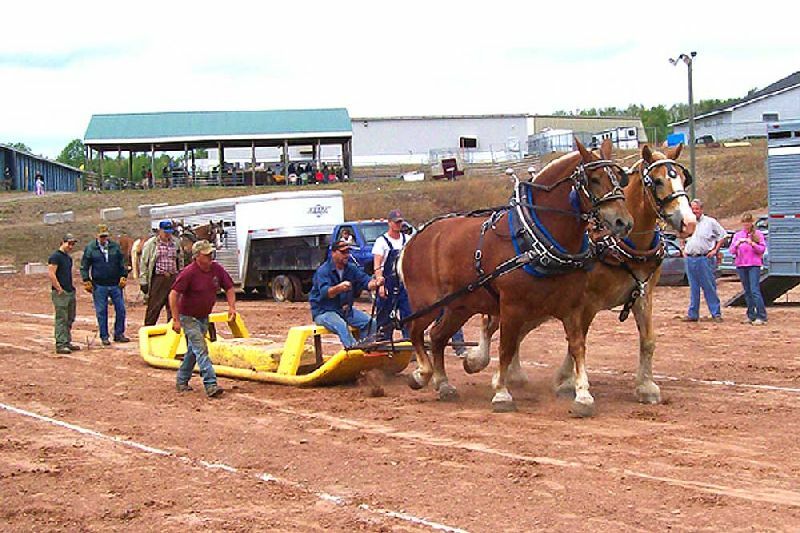 Later, the always popular Draft Horse Pull. 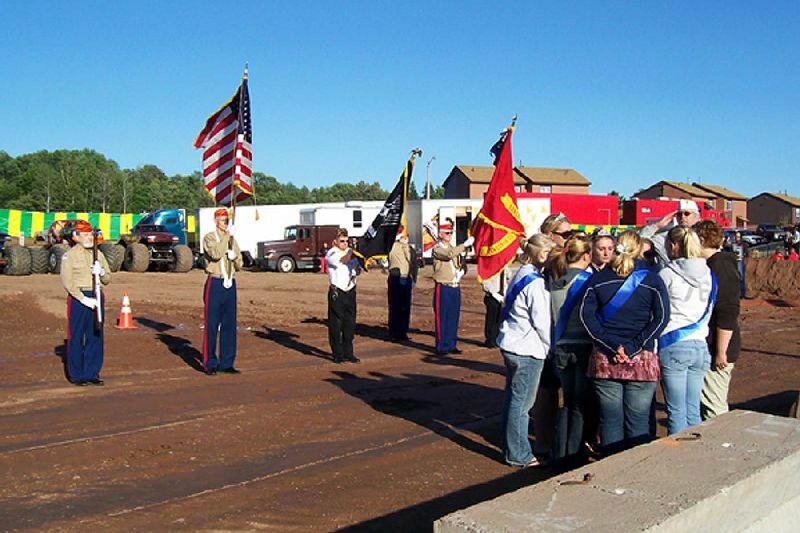 Saturday evening brought traditional South Range VFW Ranger Post Salute to Veterans, with the Queens Court singing our National Anthem. The Queen and Her Court had a great vantage point for the evening Main Event activities. 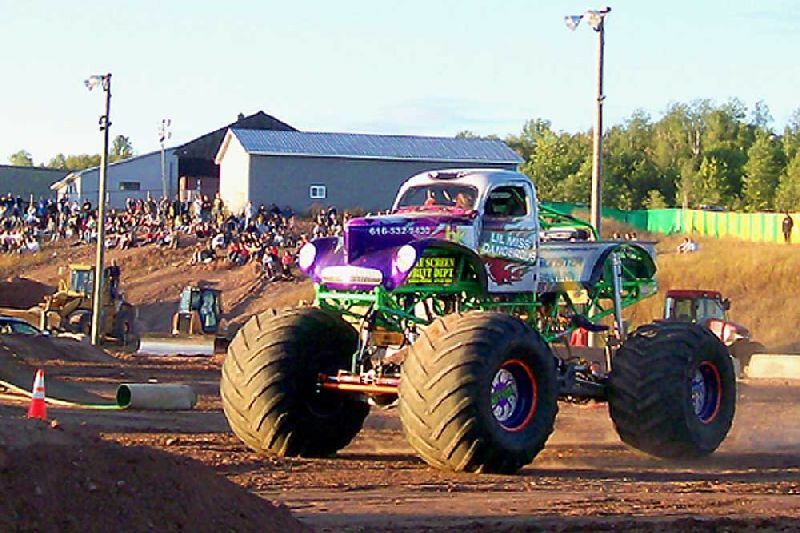 Saturday nights big event is the Monster Truck Show. Here, the Sick Air Free Style Motorcycle Jumpers stop to allow a picture. One of the evening’s big Monster Trucks, on the move. And those huge engines are loud. Sunday brought more attractions and events. 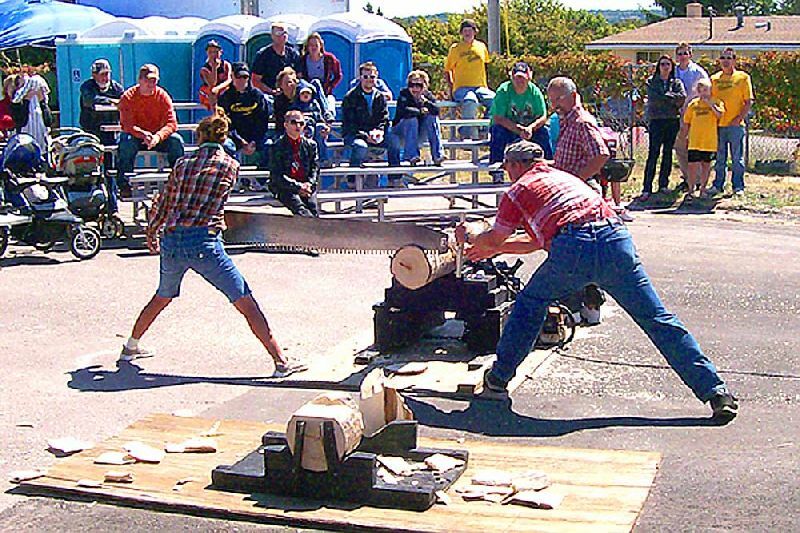 A great Midway attraction this year was the Great Lakes Timber Show. 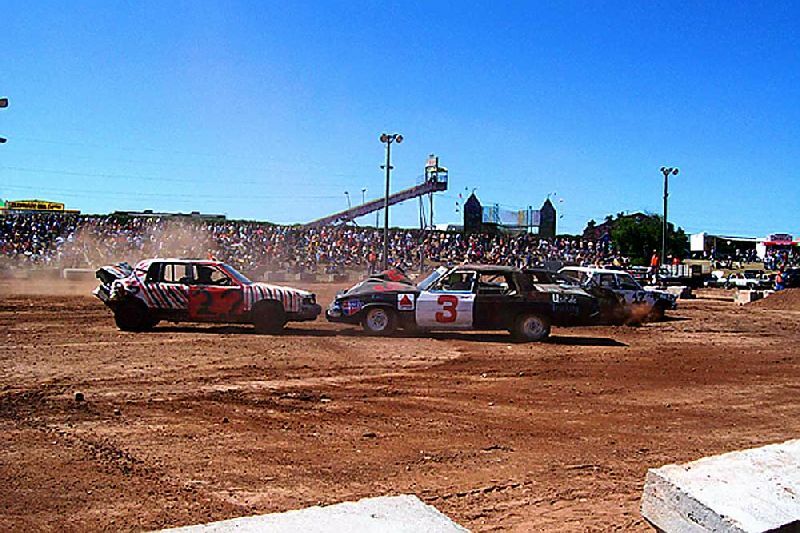 Sunday afternoon’s Main Arena event is the Demolition Derby, always a great crowd favorite, which this year set a new record for most cars in the main parking lot. 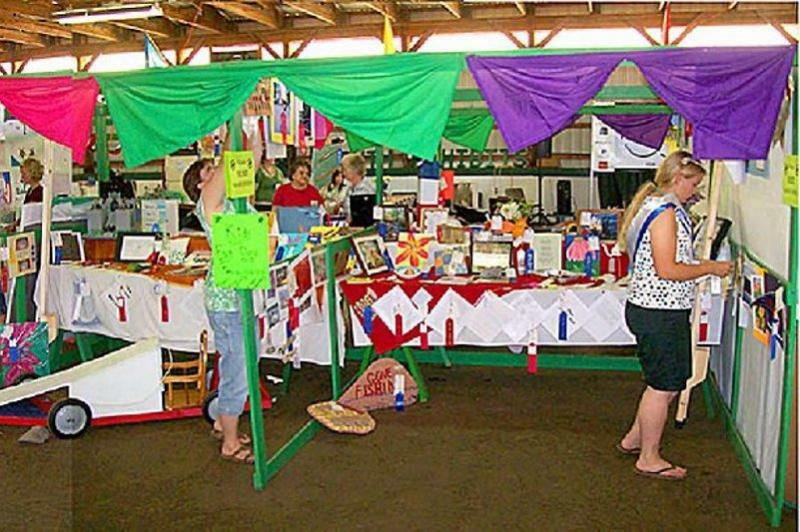 Join us next year for the Houghton County Fair.